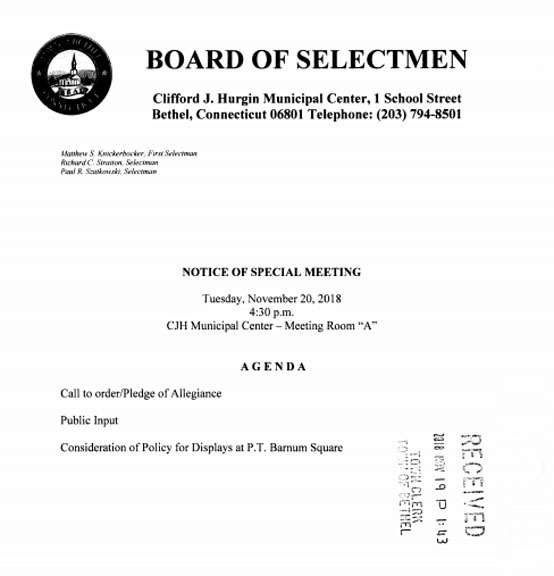 A Special Board of Selectman Meeting that was supposed to take place this afternoon at 4:30 p.m. to discuss “Consideration of Policy for Displays at P. T. Barnum Square” was met with a sign on the front door of the Bethel Municipal Center announcing the cancellation of today’s meeting (meeting time on sign shown above is incorrect). 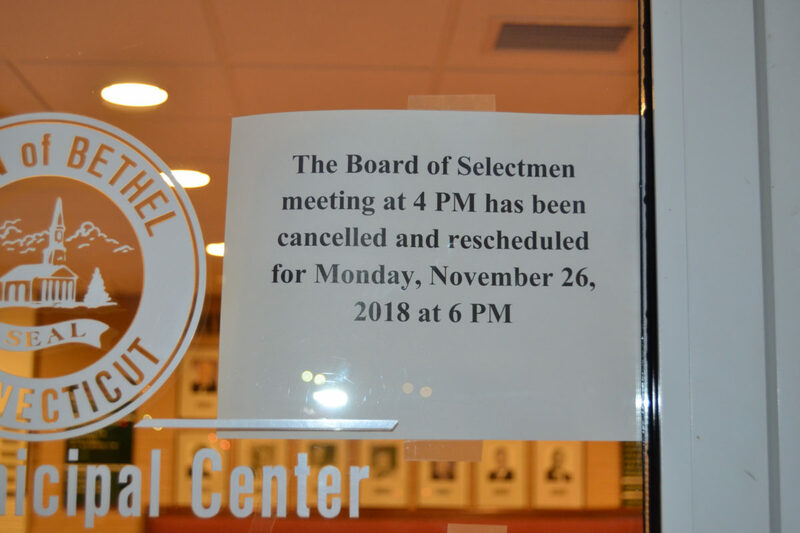 The Special Board of Selectman Meeting has been rescheduled to Monday, November 26, 2018 at 6:00 p.m. in Room A of the Bethel Municipal Center. Public input will be allowed. Office administrator Dionne Craig said today’s meeting was canceled because the meeting “was more than they expected” and they wanted all three Selectmen at the meeting. First Selectman Matt Knickerbocker is out of town and could not attend today’s meeting.